Comes with a dust bag indicator, automatic power cable winder and powerful suction control. 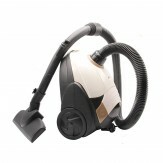 How to buy Lifelong LLVC18 1200-Watt Vacuum Cleaner (Brown). ?